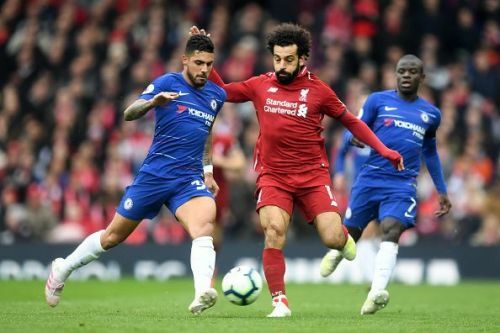 Liverpool overcame yet another hurdle as the Reds beat Chelsea 2-0 on Sunday and refused to throw in the towel in the Premier League title slugfest with Manchester City. The first half was a cagey affair as both sides were continuously nullifying each other and headed into the break with a stalemate on the cards. However, the Reds commenced the second half in a sparkling fashion as Sadio Mane broke the deadlock on the 51st-minute mark, thanks to a great delivery by skipper Jordan Henderson. 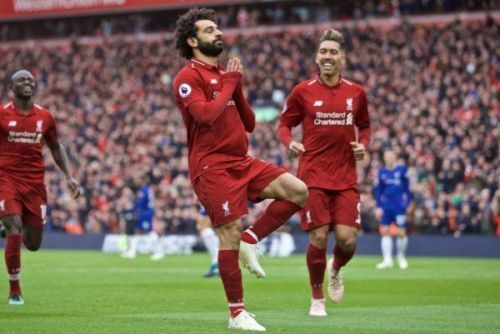 Just two minutes later, Mohamed Salah stroke a thunderous shot which went straight into the left top corner and the Reds got a two-goal lead which saw Anfield dancing. The hosts were continuously surging forward and causing the Blues' rearguard numerous problems, especially from the flanks. However, Chelsea also had a few good chances to score as Eden Hazard saw one of his efforts hitting the post, while another was saved by Alisson Becker. It was a stern test of Liverpool's title credentials and they passed it with flying colours. The win sees them moving back to the top of the Premier League table, albeit having played a game more than second-placed Manchester City. On that note, let us take a look at three players who won the game for the Reds. Liverpool' skipper has picked up form of late and is now directly contributing to the Reds' goals. Henderson formed a fine partnership with Fabinho and Naby Keita in the central of the park on Sunday and was influential throughout the 90 minutes. He was precise with his passing and was constantly pressing high to win the first ball. The Englishman provided a perfectly curled cross which allowed Sadio Mane to break the deadlock early in the second half. It was a captain's display from him and he was one of the best players on the pitch on Sunday. 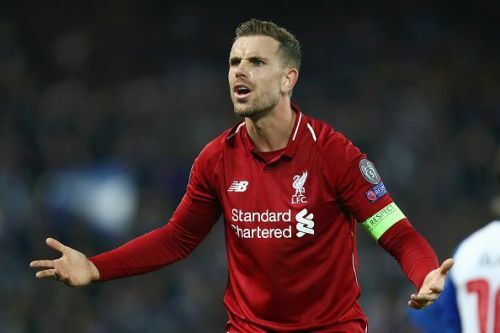 Henderson was substituted for James Milner late on and received a rightly deserved standing ovation from the Anfield crowd. 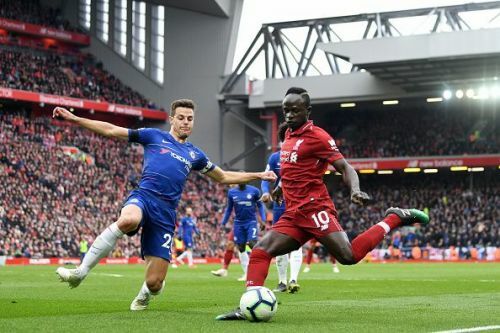 Mane has been one of Liverpool's top performers in 2019 and he was once again brilliant against Chelsea on Sunday. His runs on the left-flank gave Chelsea captain Cesar Azpilicueta a torrid time. He was constantly surging forward to cause the Blues' backline some real problems. It was Mane who settled the nerves as he broke the deadlock early after the half-time break with a headed finish from close range. He was instrumental for Liverpool on Sunday and deserves a lot of praise for his display against Chelsea. It has often been the case that a world-class player turns the fortunes in his side's favour with a flash of brilliance from nowhere. Exactly the same thing happened on Sunday. On the 53rd-minute mark, just two minutes after Mane's opener, Salah, out of the blue, took a thunderous strike from around 25-30 yards with his left foot which went straight into the back of the net to the delight of the Anfield faithful. The Egyptian was continuously trying to make things happen and scored a goal worth remembering for years to come. If Liverpool do manage to win the Premier League title this season, Salah's goal against Chelsea would play a vital part in it.